Kids grow up so quickly, it is expensive to buy clothes that will be too small so soon. 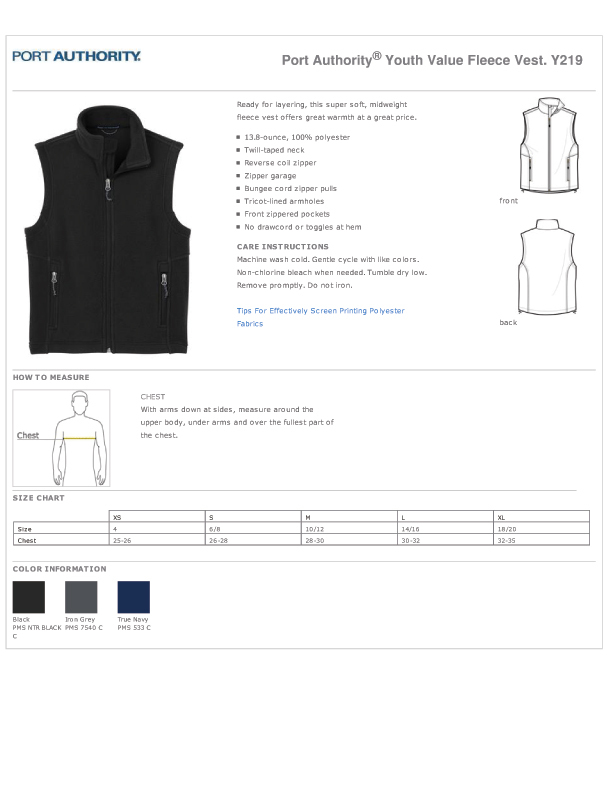 Pay a low price for fashion & comfort for your children when you buy this full zip, very soft youth fleece vest. There are two zippered front pockets to keep their stuff secure. The armholes are tricot-lined and the hem is open. The cadet collar allows full zip all the way through to the chin. Zipper has bungee cord pulls & there is no drawcord nor toggles at the hem for safety.